In the end we came not to mourn but to rejoice. Farewell to White Hart Lane was a perfectly judged celebration that put the fans centre stage. Songs were sung, tears were shed but they were songs and tears of joy. For the players and fans in the ground and for everyone watching at home, the message was loud and clear. We are Tottenham, we are loyal and we are proud. At the end the rainbow embraced us and nature gave its blessing. It’s time to move on. They say you don’t know what you’ve got til it’s gone. The build-up to this game reminded us of the passion and glory of being a Spurs fan that transcends trophies and league position. The outpouring of emotion leading up to the kick-off was profoundly touching and will passed on through the generations. This games moves us still. Forget the hype, reject the shallow analysts and prophets of doom, ridicule those for whom entitlement is key to their support, skewer the moneymen. It’s our game, and never allow them to take it away from us. This is the one thing they will never, ever get – this feeling, the depth of this emotion, the sense of togetherness and belonging. Let them shrink back into their miserable souls while we live life as it should be experienced. Big boys and girls do cry. We are Tottenham. Pre-match my son and I agreed the most difficult moment would be when the ref held up the board with time added on. That would signal the end. In the event I turned the corner from White Hart Lane into the High Road, saw the ground and began to fill up. Outside the mood was cheerful. Smiling faces, pleased just to be here, many without a ticket but glad to be there, part of it still. Personally I would have banned half-and-half scarves – I have no idea why on a day like this you would want Man U red round your neck – but the stewards didn’t go for it. We all hung around, not sure whether to go in or linger for a few moments more, postponing the inevitable. The last time through the turnstile, the last programme, the last pee in the trough. No handtowels, nice touch THFC, consistent to the last. Last time up the stone staircase, the last time to instinctively quicken the step as you near the top, just to glimpse the ground for a fraction longer. If that impulse ever goes, put me out pasture and Saturdays on ITV3 with Midsomer Murders. And we discovered that we had come not to mourn an ending but to give thanks for being there at all. We gave the Lane the most appropriate send-off of all – noise. The songs echoed around every nook and cranny of the ground. Get behind the team, one of the best to grace the hallowed turf since the early sixties. Celebrate us being us – the Park Lane, the Shelf Side, the Paxton, old style. To me, everything appeared in sharper focus, clear and defined. No misty-eyed soft-focus, this was pinsharp and vivid. I felt so close to the players, one last time. The mind plays tricks. On a personal level, this will be my greatest loss. I sit in the middle of the F of the Shelf Side THFC. Sat. I see real people, I see the strain, the bewildering pace of the modern game, the beads of sweat. I feel the joy and pain, the aching legs, lungs fighting for breath. I see fear and swagger, those who want it and those who don’t. Those who care about the shirt. I’ll never get that back, never understand the players quite as well. And this is Spurs, there’s going to be a show and I want three points. Wanyama’s thumping header raised the roof of the net and lifted the spirits, the cross from Davies who had a good game all round. We missed two good chances, Kane and Son, to extend the lead to a size that matched our superiority. Playing through the middle was complemented by extra longer passes, into space to get the back four on the turn and by-pass Mourinho’s stifling midfield. We gave them too many openings to stay calm. Better that way perhaps. Fear is part of a real match. The second from a set-piece, fitting that the final Spurs goal at White Hart Lane should be scored by one of our own. United stirred and Rooney scored but the heart has gone from them and that was that, although for all I could see for the final five minutes they might have got another one. You would have told me if they had. By now the fans had taken over. This was the best pitch invasion since we were relegated and fans invaded the pitch and the stands to proclaim undying loyalty. The stewards were helping people on to the field. What better way to celebrate the end than the memory of a fat bloke doing a Klinsmann. He’ll never wash that shirt again. The fans had taken over. Everyone ignored the announcer. Then, Paul Coyte took the mike. He said exactly the right thing, didn’t have a go but you all want to see the great players, don’t you? This is our ground, remember. It came from the mouth of a true fan and we responded to one of our own. He’ll dine out on that for the rest of his life and if I meet him I might well buy him something to eat. And so to the finale. A montage then the players coming out, perfectly judged because they didn’t tell us what to do or what to think. No shrill pleas to cheer or ‘give it up’, no background music. These legends make their own fireworks. We know how good they are and what they mean to us, and after that they know too. These cynical pros looked awestruck. White Hart Lane means something. It got me then. Les Allen and Terry Dyson, Double winners, I never saw them play but the sight of these old boys strutting out for one last hurrah had me going, well and truly. The legs were weak but they stuck out their chests, proud to be Spurs. Never forgotten. I choked up over Tottenham Til I Die, words stuck in my throat, but that was the last song on the last game on the last day. It was a masterstroke to let the fans lead the way to the end. There was one player absent and we sang Gazza’s name. We hugged strangers who we’ve known half our lives, one last look, touched the East Stand brick and consigned to memory the contours of stone and mortar under our fingertips. We’ve never done that before, but it was real, tangible, the stand and us, close for one last time. And don’t look back because it’s too much. Nailed it, Alan! Thanks for your glorious bird’s eye view inside the Cathedral! Great piece of writing there. Well written expressed the feelings of so many and I was not even there could not get a ticket. I have been going to the lane for over 60 years and seen all the great teams from Arthur Rowe to Mauricio and all the not so good teams. What I love about our club is the style of football is so important and yes of course we all want to win silverware but we are not like other clubs who seem to think it is their god given right to win. What the current team show is a desire to work hard and that of course is no more than they should do. I can accept being beaten by a better team but can’t accept our team if they don’t make the effort. 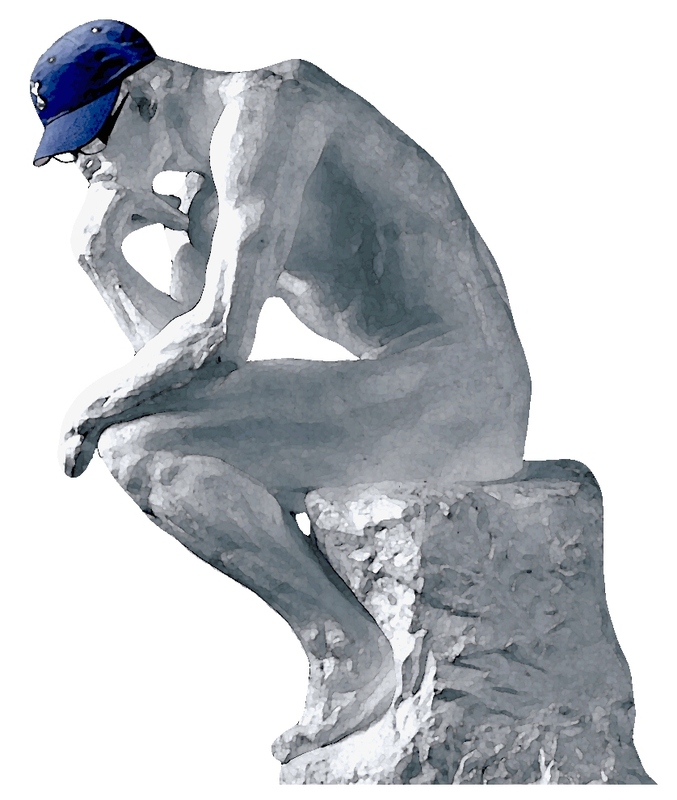 But enough if that a great season a great farewell and a great future to look forward to. COYS. For Spurs, Keith, the game really is about Glory. And those last two home wins over L’Arse (to finally top them), and Man-U (to clinch second and top those big OT spenders for the second straight year), and the WHL send off complete with Kane’s winner, our win, our legends, the tears of rain and finally the rainbow, now that is Glory manifested. As the Stones sang, “But if you try sometime, you just might find, you get what you need…” And we all needed that…COYS! A life long fan living now in Canada, My first match at the Lane was about 1948. So many great memories of games and players. We all have ours so I won’t bore you with mine. Watched a u-tube version of the closing ceremonies and was so moved, and would have loved to have been there. Met up with my oldest friend before the game yesterday. We’ve known each other since 1972 and have been going to the Lane since 1976. Before the game we had a ‘greatest hits’ walk around where we lived and played together as kids. An estate at the far end of Northumberland Park. A few drinks in the Bill Nicholson. Then into the ground a good couple of hours early. We wanted to soak it all up and watch the ground fill up. As important as the game was, it felt secondary. Not least since we were so much better than them. The result didn’t seem in doubt, even with their late goal. I didn’t see the last couple of minutes. Just a sea of flags. The pitch invasion was good to see. It was borne of love not thuggery. It reminded me of the pitch invasion the season we went down. We spontaneously demanded to show the club how much we love them. Paul Coyte has now himself acquired legendary status with his ability to clear 10,000 people from the pitch armed with just a microphone. From my vantage point at the back of East Lower I could see the police gathering in the tunnel and then dispersing. That was a relief. As for the final ceremony – it was as stylish and tasteful as you’d expect from our club. We showed the world how to say goodbye. I would have lived to see the managers take a bow but that is just a quibble. This is a comma not a full stop. We will return. It will never be the same again. Not necessarily a bad thing. It could be better. I shall be going to Hull game to see this wonderful team one last time this season. I was emotionally and physically spent by the time I got home last night. I feel serene now, confident that with Poch at the helm the future is so bright it is Lilywhite. As always Alan, you’ve managed to sum up the afternoon just right. It was an emotional day for everyone, especially those of us who have been going to the Lane for over 50 years. Must admit, I was pleased to find out that the friends that we have sat with for the last 23 years are all renewing their season tickets and that we will all be sitting together again at Wembley. Full marks to Daniel Levy for getting that one right !!! Like you, that final rendering of Tottenham till I Die got to me completely. Even my wife, who is not a football supporter, said that she had tears in her eyes at that moment as she was watching it on the telly. Great stuff Alan as always. I didn’t actually realize what was happening till we kicked off, I knew it was coming, yes I saw the lineups but which i didn’t clearly take in, the crowds.. but when the ball kicked off is when i realized this was it, its happening.. the end and another beginning on the horizon..
I’ve already calmed over the Wembley situation, Ill wait for the first few games to judge how its gonna be..
Don’t know about you guys, but id like to see most of the bench get a run out last two games. Terrific piece of writing. It was a great occasion. A tweet from a friend before the game summed it up. “32yrs of memories, shared with my Dad, at my favourite place. Today’s going to be emotional 💙 #whitehartlane #COYS”. Authentic, and passionate Spurs on and off the pitch on Sunday and from TOMM. 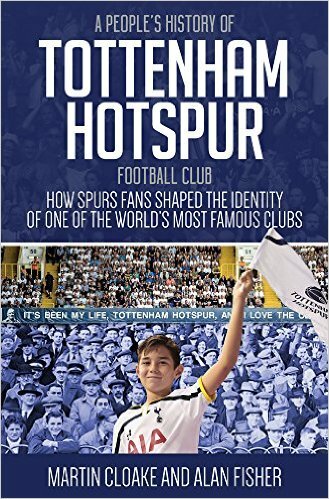 I particularly liked the bit about the glory of being a Spurs fan transcending trophies and league position. Sunday was what Spursy has and should always mean. We have class, style and are a little different. We don’t care what the other teams say, what the hell do we care, for we only know there’s gonna be a show and the Tottenham Hotspur will be there. The football connoisseurs indeed. No wonder we make others jealous. Watching from home I kept seeing myself, first game at WHL, Paxton Rd, 70s, night-time, big crowd, looking over the floodlit Lane in awe up to the Shelf, so so far in the distance by the time my eyes reached the Cage, for this short schoolboy, making WHL seem like a Leviathan. I remember that even more than my first sight of the green pitch. That’s what Spurs, The Lane and its history is, a Leviathan of the game. If they are out there, I must also say a huge thanks to the geniuses who stream games as I don’t know how I’d have coped this past decade and more in exile without Spurs games – can’t afford Sky. “…hugged stangers we’ve known half our lives” is just spot on! I’ve seen kids grow up where I sit in Paxton Road. Moving house is never easy, let’s just create more memories at the new one. Up the Spurs! Lovely read. My grandfather Tom Wall was the main reason I fell for Spurs. He emigrated to London when WW 2 broke out to be near my aunts who were already there. He used come home every summer in the 60s. Can still picture this dapper old gent stepping off the ferry, pipe in mouth with his suitcase full of treasure for me. Still remember the slightly battered Spurs Double annual he brought me home mid 60s. All the legends draped around a ladder on the cover. The exotic name n classy white strip hooked me immediately n 67 Cup Final copper fastened the love. Saw Spurs live for first time in Dalymount Park Aug 78 v Bohs for Ossie, Ricky debut. Very first trip to WHL came November that year v Wolves. A mediocre game TBH decided by Peter Taylor putting away the rebound from his own saved penalty. The atmosphere under the floodlights was electric and kept me making my pilgrimage to the Lane right up to my last game, Swansea Feb ’16 . Only 2 losses in all those years. The memories are wonderful n too numerous to mention. I’m thrilled that my 20 yr old daughter was with me for my last trip. She’s fallen for Spurs too since Poch took over so the legacy started by her great grandfather lives on.